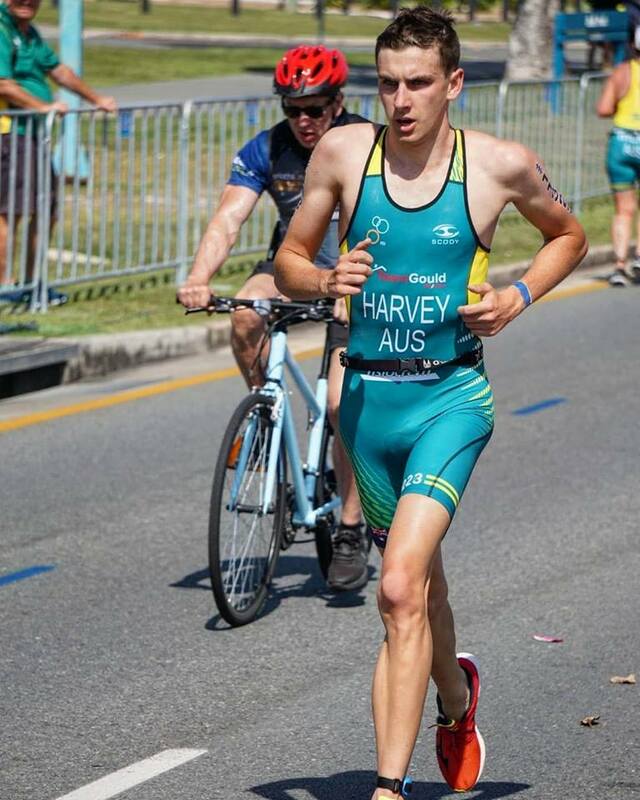 I am a Redlands (Brisbane) based athlete that started triathlon in 2012. I started as a cross country runner and went to the local Sharks Triathlon Club for some running advice as they had free afternoon sessions. They encouraged me to enter my first triathlon lending me a bike (this was the first time I had ridden a bike with gears). Just less than a month later I completed my first triathlon at Raby Bay and placed 6th in February 2012. To see if this was just lucky or not,I entered my second race – Luke Harrop and placed 2nd. This was the start of my love of triathlons. In 2016 I was honoured to be awarded the Pierre de Coubertin Award from the Australian Olympic Committee - recognising my achievements and demonstration of values which are consistent with the Olympic movement. 2017 I was crowned 16-19 Age Group World Triathlon Sprint Champion (Rotterdam). In 2018 I very proudly carried the GC2018 Queens' Baton in my local area of Cleveland. In September 2018 on the Gold Coast I defended my World Title - again being crowned 16-19 Age Group World Triathlon Sprint Champion under the watchful eye of my coach Graham Fidler. My next aim is to represent at the World Titles next year in the Junior Elite division. We are a family based club in the Redlands (SEQld) that caters for all ages from 7 through to 70, and for all distances from junior tri's through to Ironman distance. With a low annual fee and many free training sessions, we are a not-for-profit club working solely for the benefit of our members. Come along and see how much fun triathlon can be! The TRIPLE F PERFORMANCE PROGRAM was formed in 2018 by Triathlon Australia Accredited Performance Coach (in progress), Graham Fidler. Established as an extension of the TRIPLE F TRI ACADEMY to provide a performance training environment for national and international level junior triathletes. The TRIPLE F PERFORMANCE PROGRAM delivers junior athletes a complete training environment including Body Maintenance, Mental Strength for Performance, Nutrition and Flexibility & Mobility development as well as swim, bike, run. Junior athletes within the program receive personalised training programs and one on one coaching and development support. The aim of the program is to provide a training and development environment for performance level junior athletes to train, race and develop together. The TRIPLE F PERFORMANCE PROGRAM provides junior athletes with a program experience and environment they can expect as they develop into high performance pathways of Triathlon. Redlands Swim Club prides itself on being a family club offering a motivating and exciting environment in which to enjoy the sport of swimming. Redlands Swim Club is affiliated with Swimming Queensland (SQ) and the Brisbane Swimming Association (BSA). We provide swimmers with the opportunity to improve, strive to excel and chase their dreams. We stress desire, dedication, discipline and respect. Our goal is to produce top class citizens as well as top class swimmers. Redlands Swim Club competes as a member of Australia, Queensland and Brisbane Swimming. Redlands Swimming Club provides our members with the opportunity to compete at levels that are within their ability. Meets offered range from Club night, local carnivals and to those swimmers who qualify, Regional, State, National and International levels. Wynnum Redlands Cycling Club (WRCC) has its base on the east side of Brisbane, an ideal area for cycling. As one of SEQ's larger cycling clubs we attract both recreational cyclists and competitive cyclists, all striving for one common purpose - that is to enjoy keeping fit on the bike and meeting new friends and social contacts. We cater for a wide range of cyclists and have club rides that would suit almost anyone. Young, young-at-heart, fast, or not-so-fast. Our race teams are also well represented in most categories in the Queensland cycling league, including open categories, juniors and masters. Thompson Estate Athletics is Brisbane’s leading cross country running club as well as one of Brisbane’s oldest track & field athletics clubs. We won the Queensland Cross Country Cup in 2014 and 2015, with athletes from Under 10s to Masters. Our main training facility and clubhouse is at the Clem Jones Centre on Stanley Rd, Carina, Brisbane, where we hold running training on Monday and Thursday evenings from 6.00pm, free to club members. We also hold Sunday morning long runs at various venues. Everyone is welcome to come along, whether just for fitness or competition.